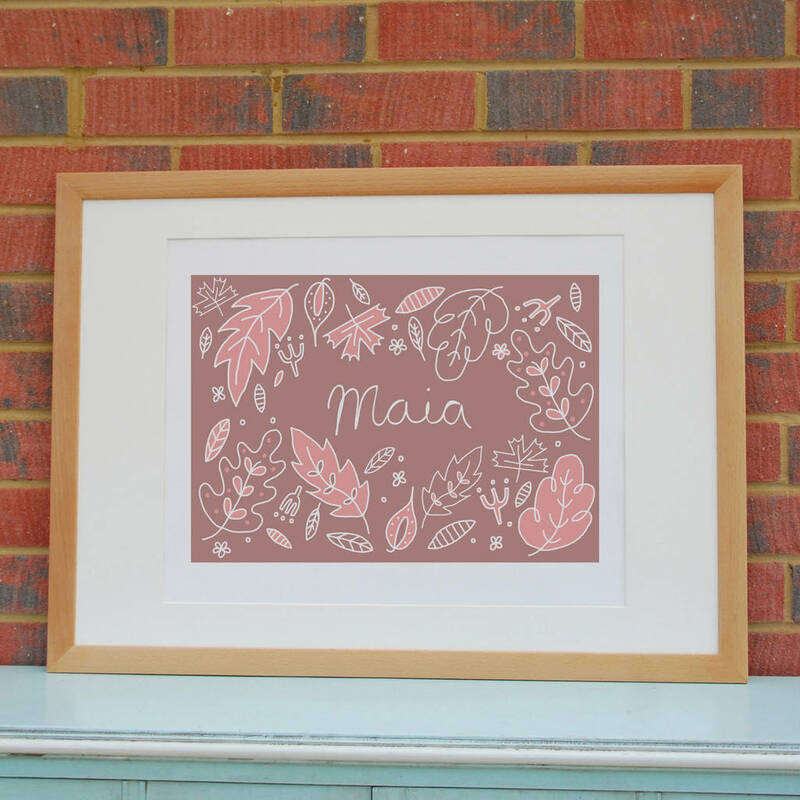 A vibrant, digitally illustrated personalised name print. This personalised illustration would make the perfect gift for a new arrival, first birthday, Christening or simply as a special keepsake to be treasured for years to come. Hand designed by Steph, the floral design would make the perfect centre piece for any child's nursery. 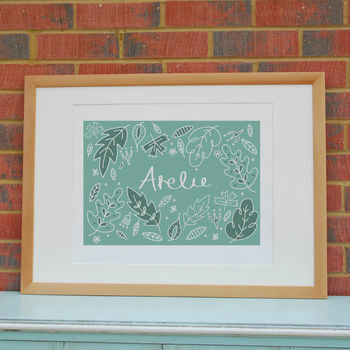 Your personalised name print is custom made to order using a hand rendered illustration of your chosen name and colour. 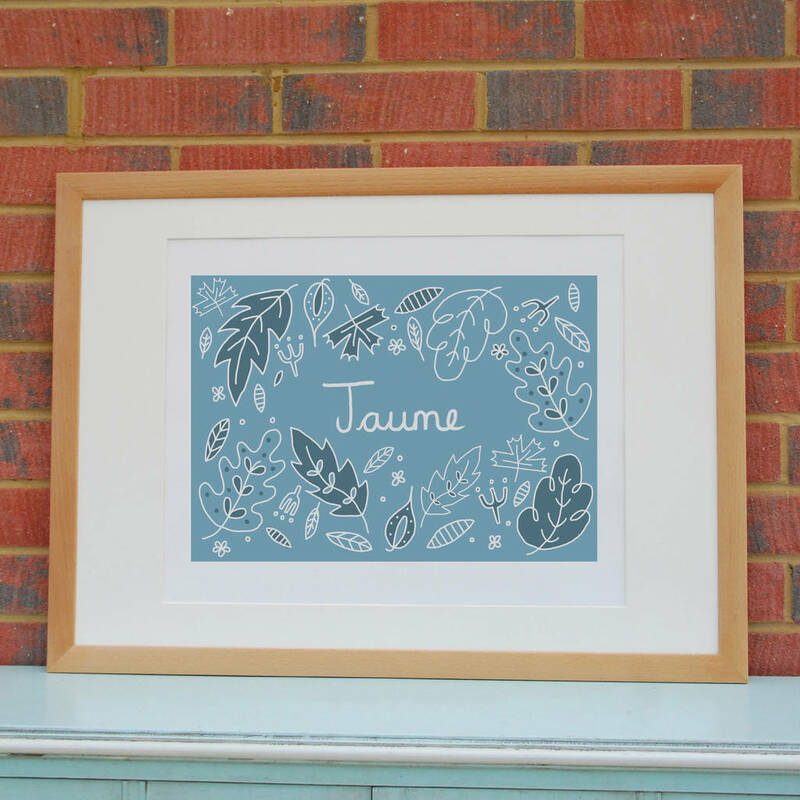 This print is available in blue, green or pink and can be personalised with a name of your choice. All prints are printed onto 220gsm heavyweight paper. All prints are sold unframed and will arrive within a sturdy cardboard tube. This product is dispatched to you by Steph Marshall Illustration.